World Rally Championship events are building dangerous artificial jumps that should be outlawed, according to leading WRC drivers. Toyota’s Ott Tanak had to retire from third place on Rally Italy last week after an incident on what many felt was a badly built jump on the Monte Baranta stage. Tanak’s Yaris WRC slammed nose-first into the road, damaging the cooling system. 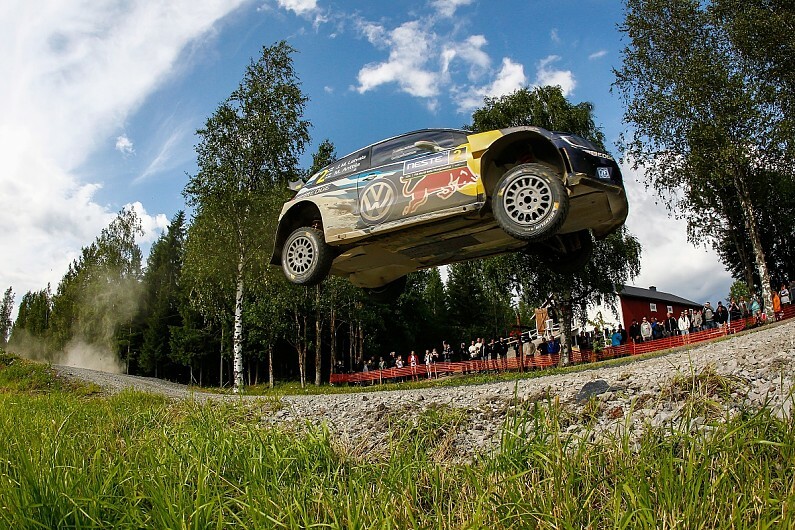 WRC champion Sebastien Ogier led calls for a uniform approach to building jumps on stages. “We all agreed as drivers, it’s not clever to build these artificial, short, kicking jumps in the middle of a long straight,” Ogier told Autosport. “I have nothing against jumps, I love it and they can make as many jumps as they want, but make them progressive and not the ramp so sharp and short. M-Sport team principal Malcolm Wilson said a crash for MRF Ford Fiesta R5 driver Guarav Gill showed Ogier was right about the perils of the jumps for cars in the lower classes. “Some guidelines for building the jumps would be a good idea,” Wilson said. “Gaurav destroyed the front of his car on that jump. The handmade jump held up as the perfect model is the one Tommi Makinen had created for his corporate hospitality on the Ouninpohja stage in Finland (pictured above). “You can go really flat over that jump, it looks good and it’s easy on the car because we made it without a short [ramp],” Makinen said. “There’s no point to make something unnatural which is only breaking thing.